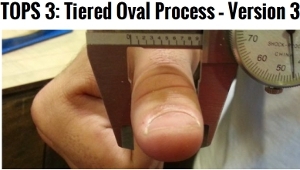 With the re-launch of Bowling This Month, April 2014, I wrote about the new and improved Tiered Oval Process Version 3 thumb. TOPS3 will improve your swing and release. TOPS3 is a significantly comfortable thumb shape option as well. The process is designed to create a more anatomically correct shaped thumb designed to avoid bending the thumb. 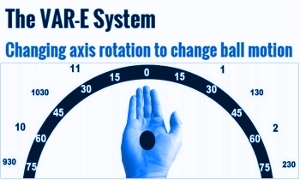 With the VAR-E Axis of Rotation System, learn how-to alter ball motion more easily. I have found it easier to teach axis of rotation variation by focusing on the center of the palm as compared with teaching it referencing the fingers and thumb. With VAR-E, the key to altering ball motion easily is to envision a clock face relative to the center of your palm. 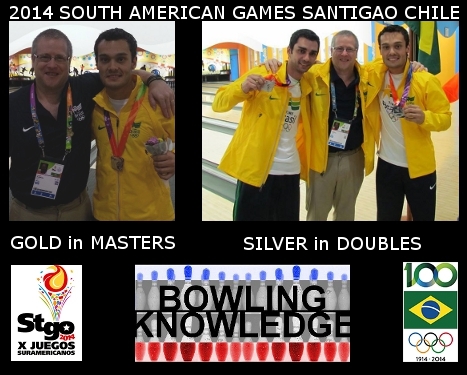 Coach Slowinski was with Team Brazil at the South American Games in Santiago Chile in March. He helped Marcelo Suartz win Gold in the Masters (3rd qualifier after 24 games) and Silver in Doubles (Marcelo Suartz and Renan Zoghaib). Marcelo shot 2202 in 9 games (244.6 average) on the dual pattern setting with Tokyo on the left and Los Angeles on the right. Matches were 3-game sets. He doubled in game 3 after Jaime Gonzales had finished to seal a trip to the finals.